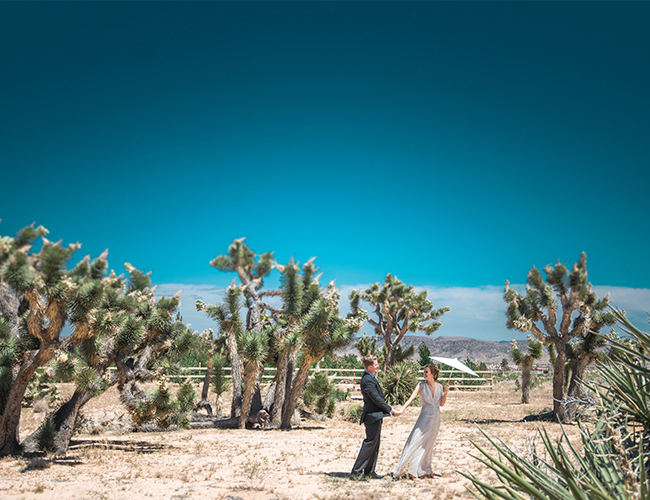 Desert weddings used to be for Nevada natives and Palm Springs frequenters. 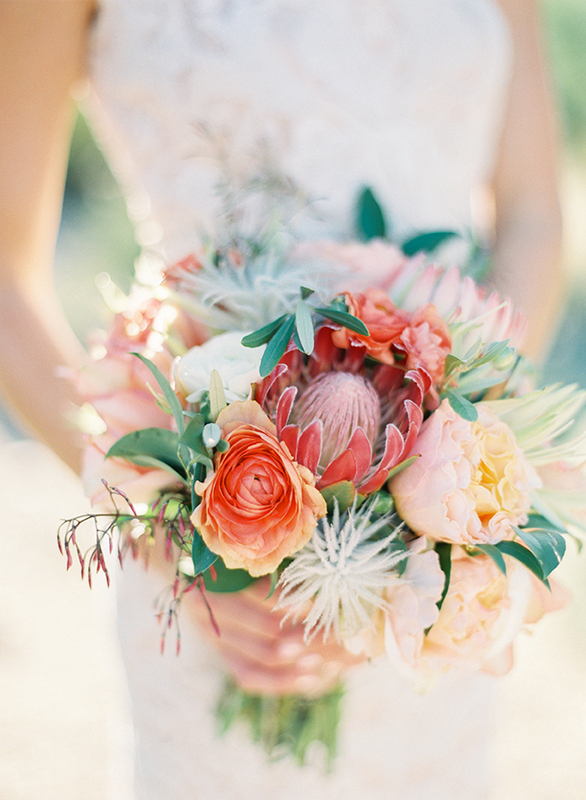 (See some of our favorites here & here). 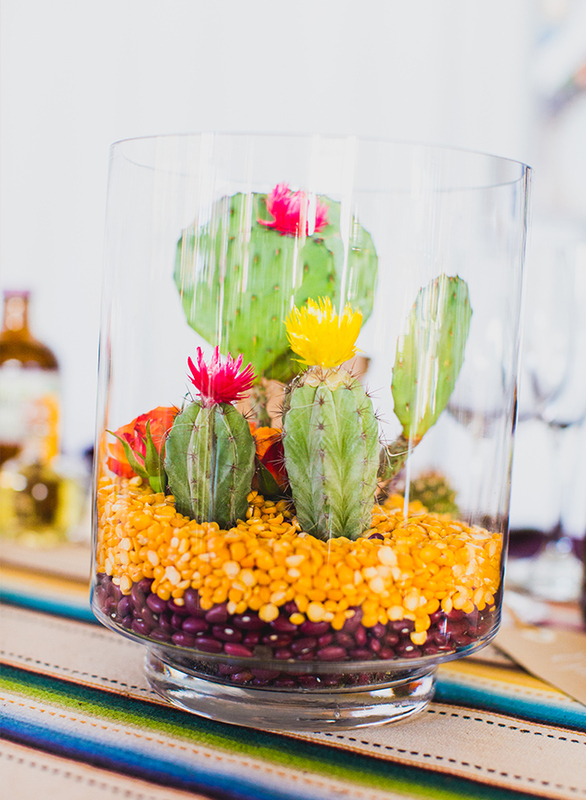 But now, they’re the trendiest thing since mason jars – and they aren’t going anywhere! 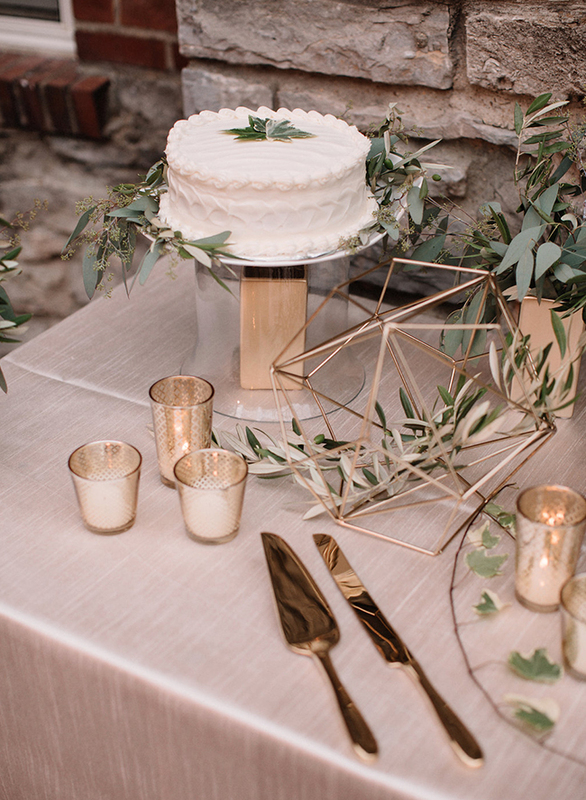 We gathered up 27 ways/beautiful images to help you achieve that trendy desert vibe at your own wedding. 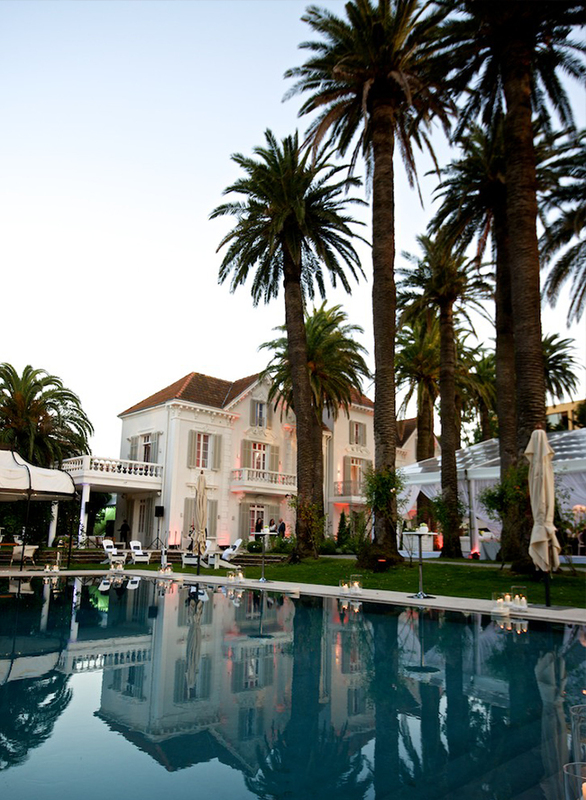 And what elements you should focus on to get it there. 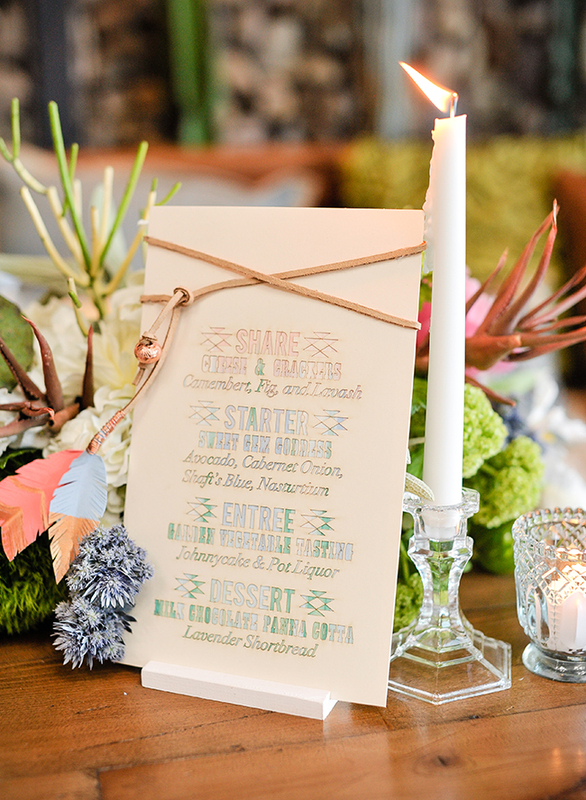 Your wedding stationery is the first thing your guests see. 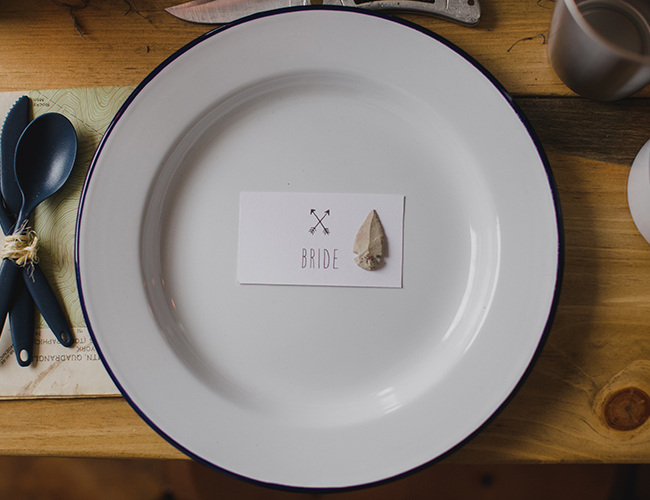 Therefore, it should represent your wedding well! 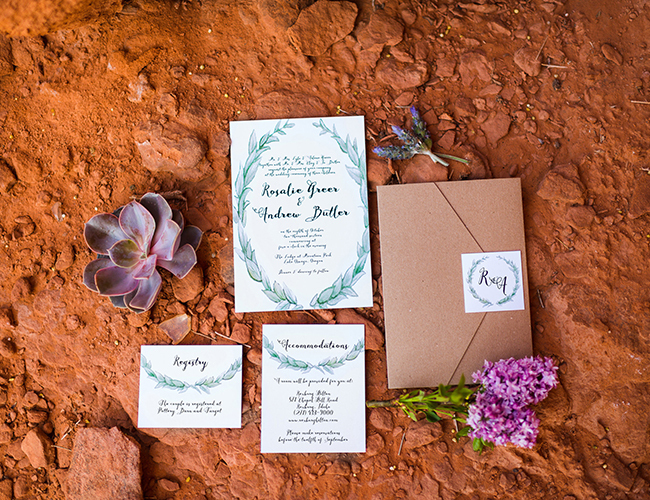 We love how these stationery suites show off the desert trend so well. 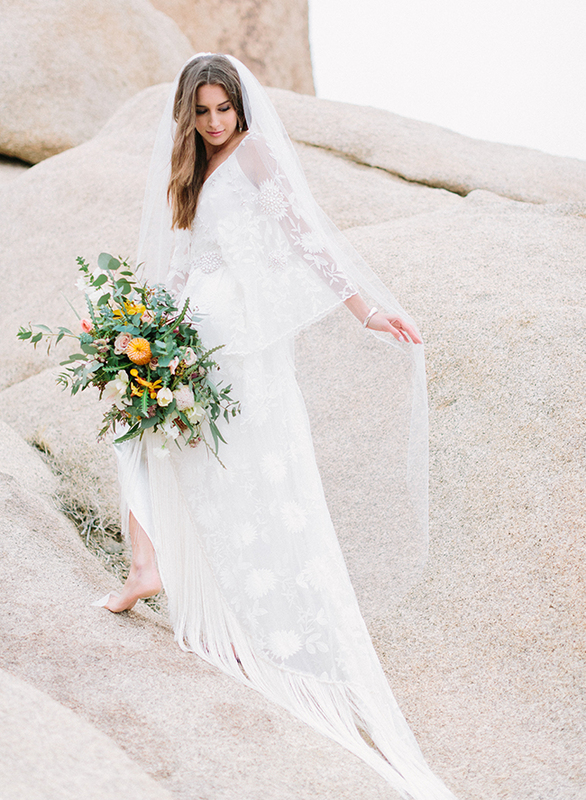 Pick a wedding gown that reflects the bohemian vibes all around. 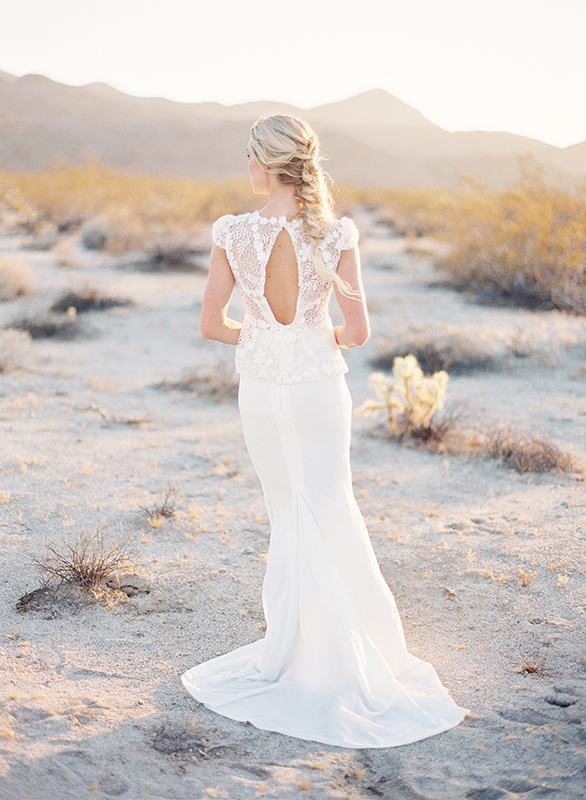 But, don’t go to the desert and get married in sleeves! 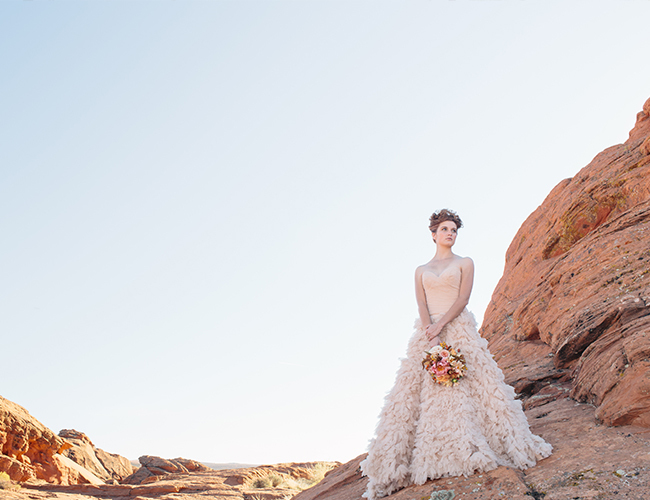 These bride’s did it right in easy frocks that matched the desert setting. 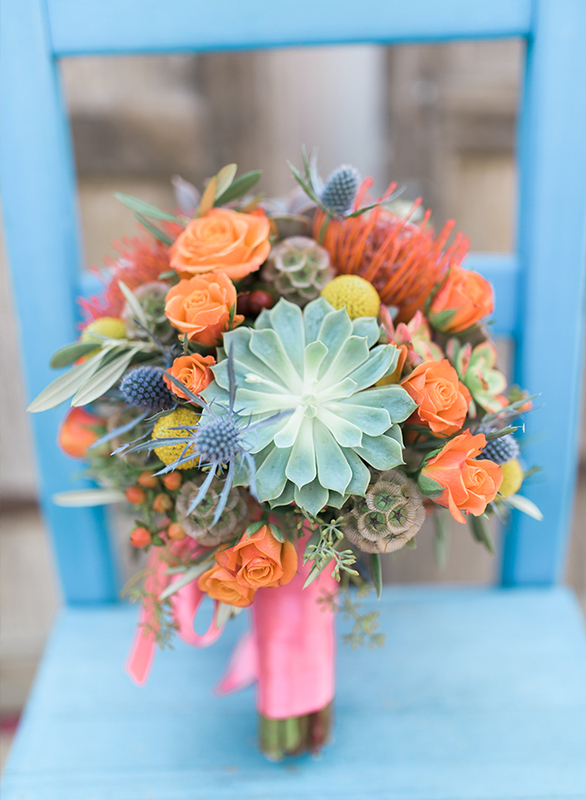 Bring succulents and other desert plants right into your bouquet! 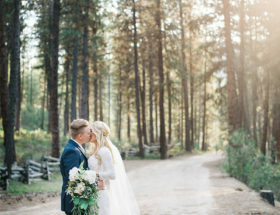 This is one of the most photographed elements of your day and as such should reflect the vibe. 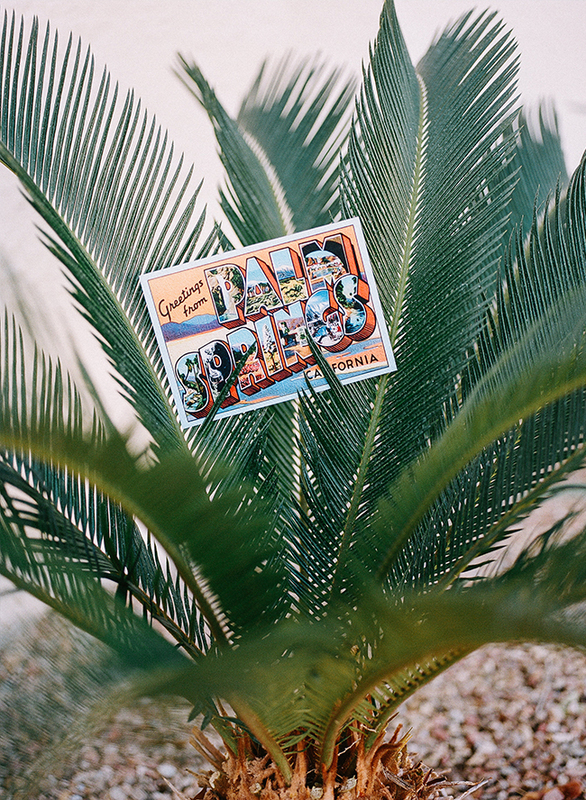 The desert is home to unique and recognizable plants. 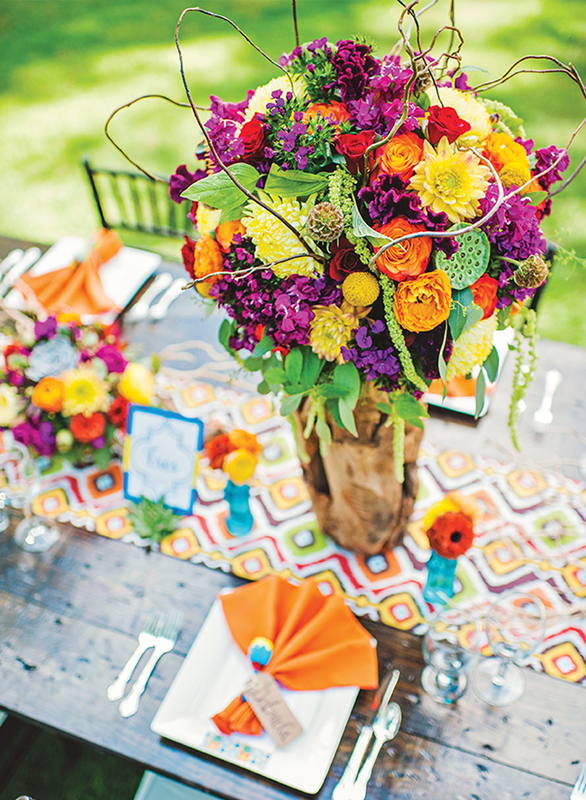 Your centerpieces won’t go unnoticed when filled with these dry weather flowers and leaves. 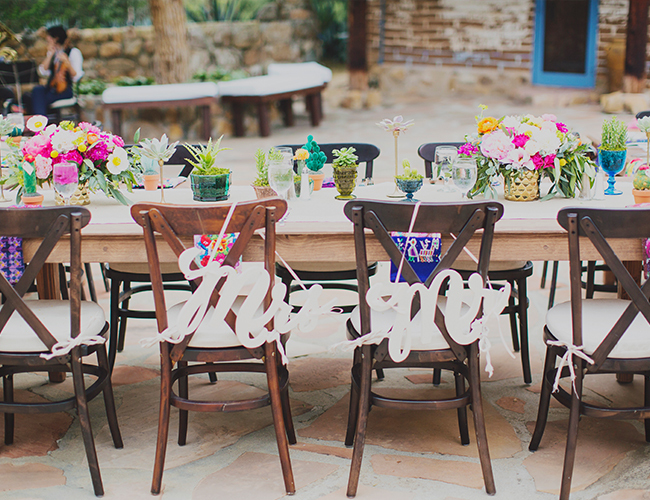 But, that doesn’t mean they need to be lacking of color! 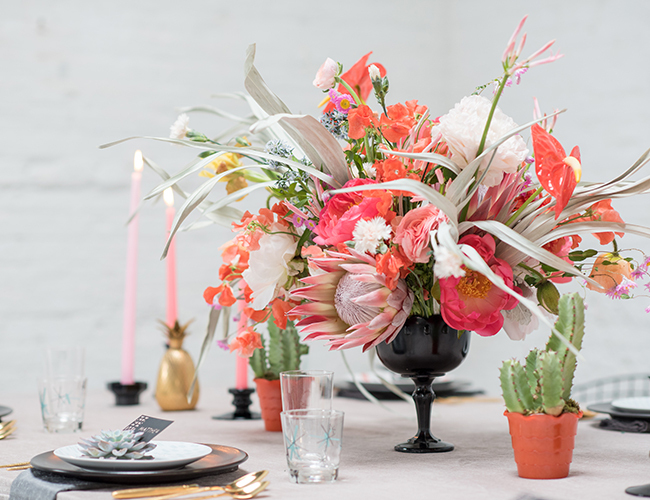 Bring in turquoise, burnt orange, and hot pink to echo those desert sunsets. 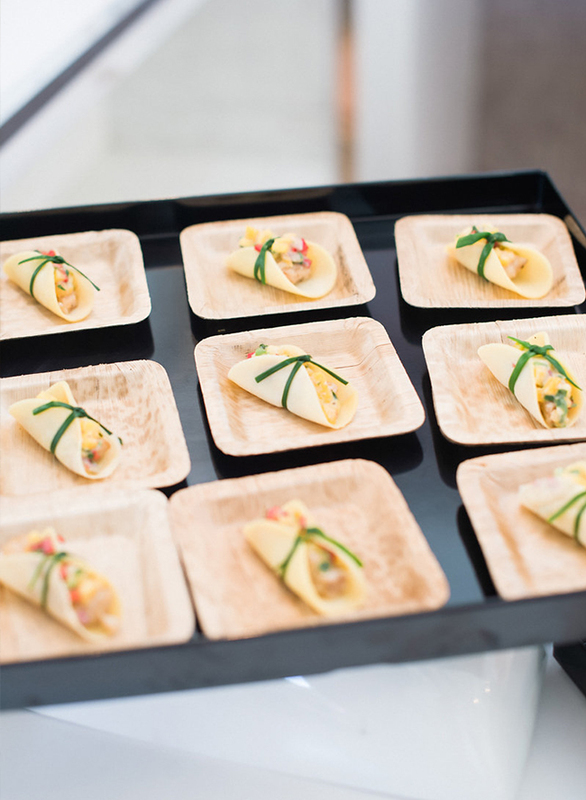 If you are already going all out with a desert theme, why stop at the food? 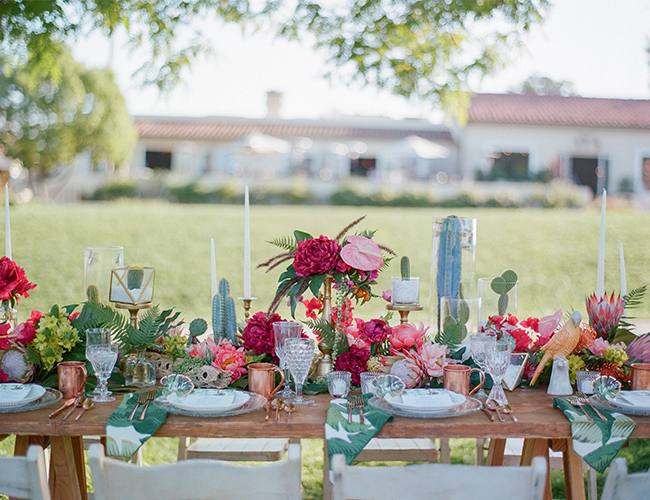 Bring the desert influence to your menu with flair like these weddings did. 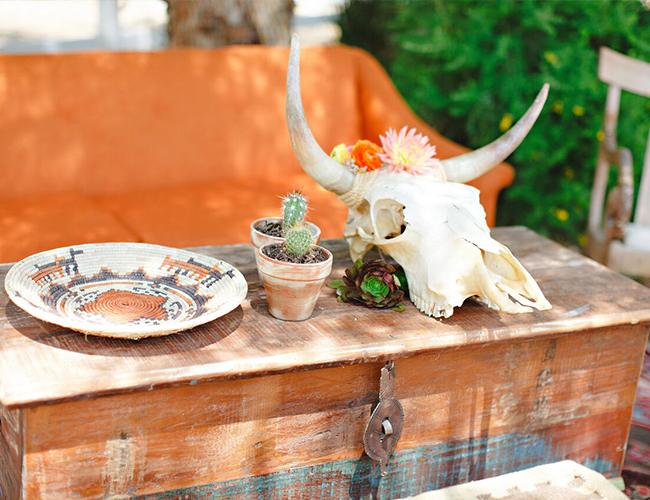 From arrowheads to cacti and terracotta dishes, your desert wedding isn’t complete without Southwestern influenced decor. 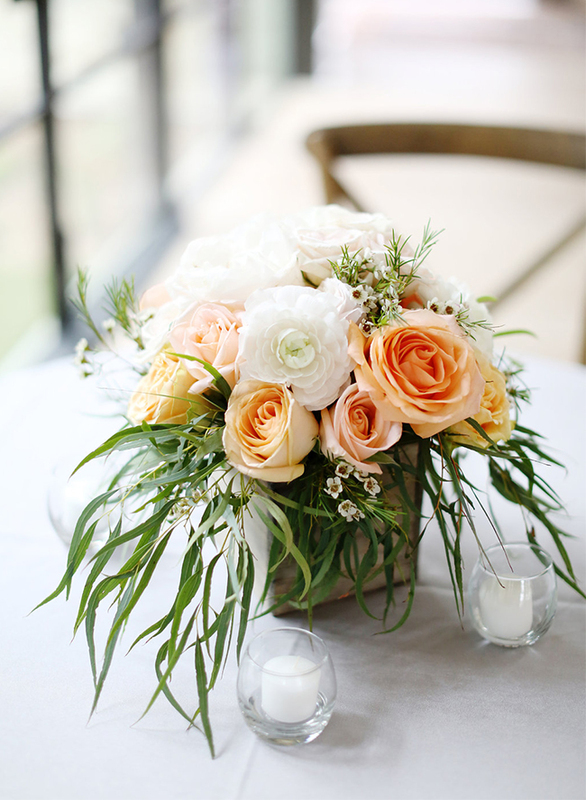 Incorporate it in lounges and on reception and welcome tables for the best effect. 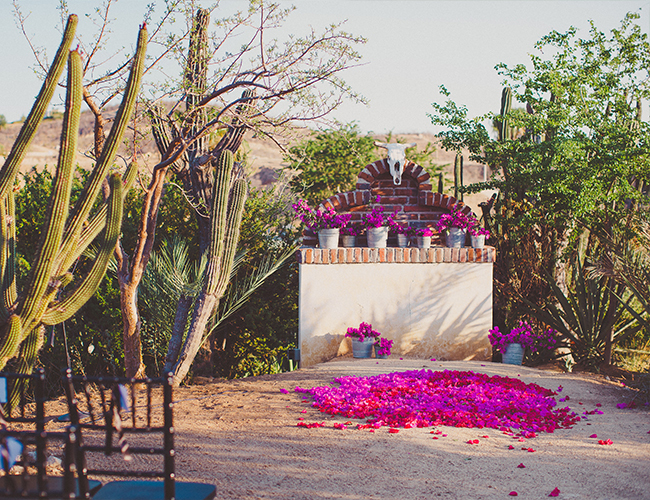 What is your favorite element in a desert wedding? 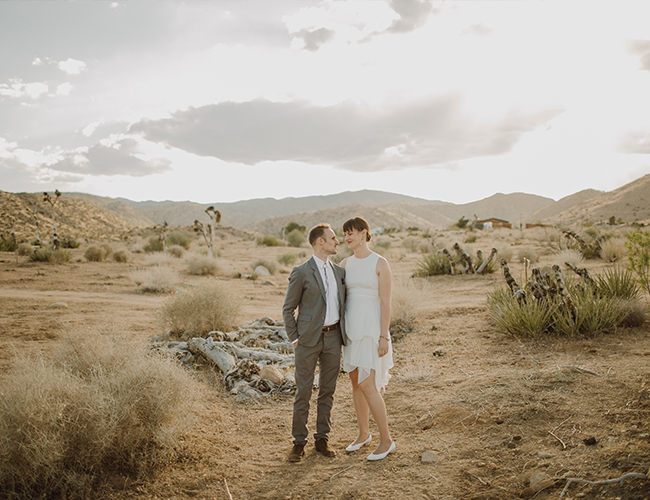 I am all about a desert wedding! 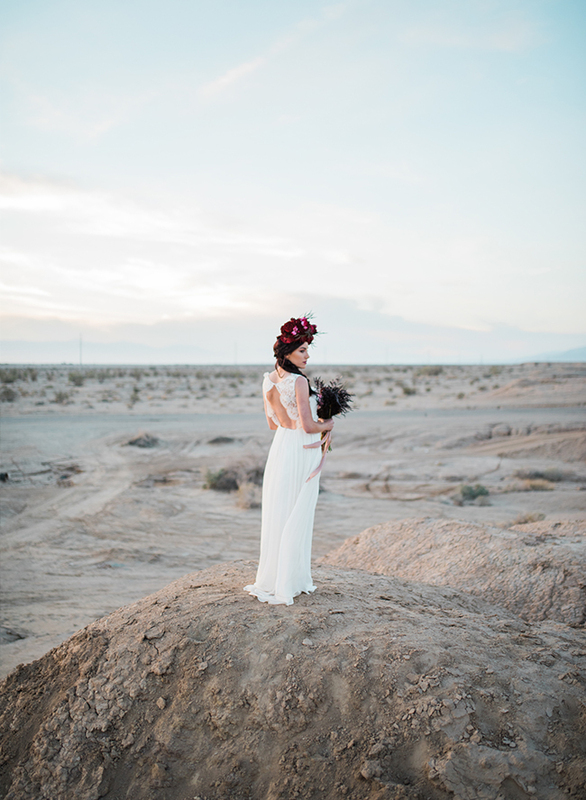 Love the desert plants the most. 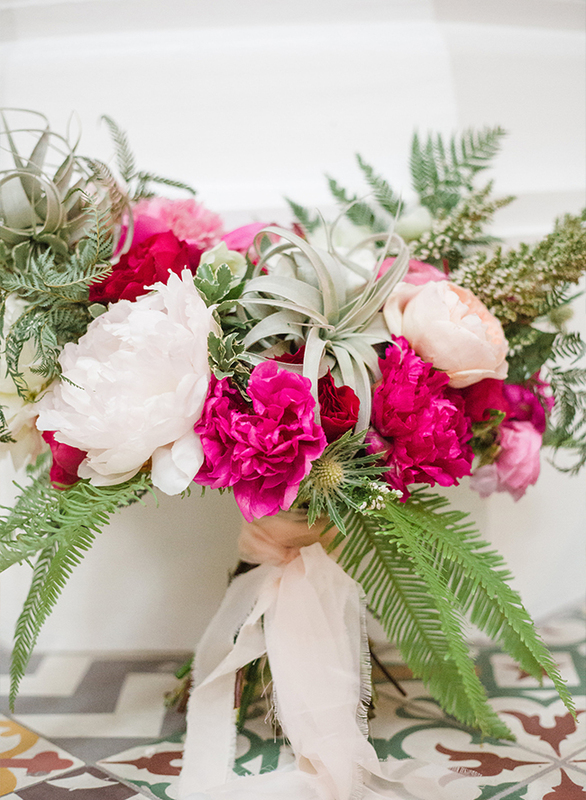 Loved all the ideas from dress to bouquets to arrangements. 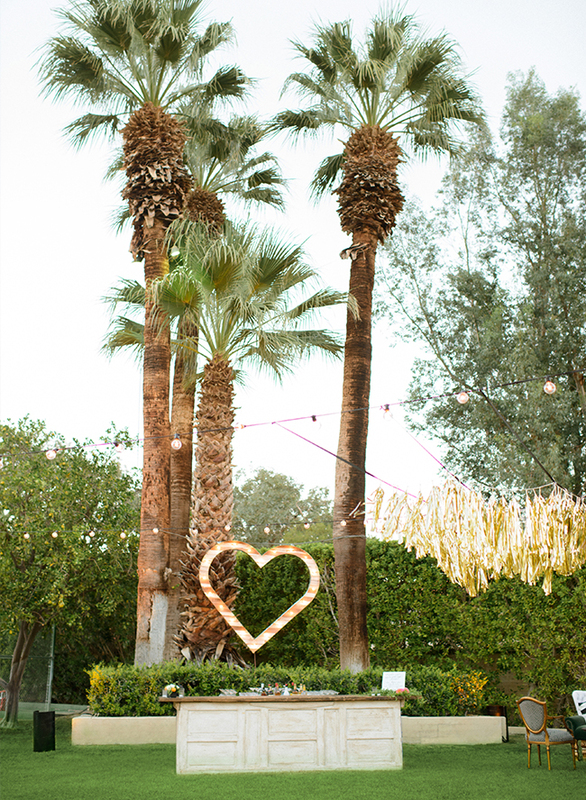 This will help a lot of people planning desert wedding. Thanks for sharing them.